In discussing the ways to protect and promote the human right to social security, particularly the right to old age security, Amartya Sen’s work provides important insights. Sen (2009) argues for understanding human rights as powerful moral claims, transcending a legal interpretation of these rights (as legal demands, motivation or ideals for legislation). There is thus a strong ethical justification to work towards their realization and advancement. Sen emphasizes that there are many ways to make the ethics of human rights more influential: the legislative route is one possible method; but there are also others, such as social recognition, social pressure, public discussion and education. If we accept Sen’s stance, a fundamental question arises: “What needs to be done for the protection and promotion of the right to old-age security?” As pension policy is defined through the political process, two of the methods suggested by Sen – open public discussion and social pressure – become crucial. Open public discussion and wide access to information are necessary conditions for mobilizing support for defending and advancing rights; and effective social pressure may be decisive. Pension policy absolutely needs open public discussion, as the debate around it has often been severely compromised by misinformation and the absence of pluralism: fallacies, myths and controversial issues—including claims of an old age crisis and assumptions about the advantages of private funded schemes—have been widespread as undisputable truths, thereby preventing the possibility of informed public debates on this subject. An open public debate that does not exclude alternative perspectives is essential for defending and advancing rights. In addition, the hegemony of mainstream economics has led to an inappropriate framing of the discussion that subordinates the ends of policy to its means and takes into account only the expenditure side of the pension system budgets. In the last two decades, this framing has led to regressive reforms of pay-as-you-go (PAYG) pension systems in many European countries, and elsewhere, leading to the downward adjustment of current or future benefits. Claims of “old-age crisis”, particularly in the developed world, have been used as a justification to enact reforms on public pension systems intended to stabilize future costs and promote long-term financial sustainability. The argument is that otherwise a declining ratio of workers to retirees would put excessive pressure on public finances, severely burdening these systems. The rhetoric of demographic determinism is widespread among political actors, the media, and citizens. However, it is a fallacy. The burden of pensions is a relative indicator measured by the ratio of pension expenditure to GDP. Thus, economic growth is critical and must be considered in a reasoned debate about the pension burden in an ageing society. But the fallacy of demographic determinism has been accepted as an undeniable truth, leading to the generalized perception that the reduction of public pension provision is unavoidable in an ageing society. Misinformation has helped to reduce social pressure in defence of public systems and to push a political agenda favourable to retrenchment. Additionally, a number of assumptions embraced by mainstream economists on the presumed advantage of downsizing PAYG public systems and moving to private funded schemes are extremely controversial. Even the chief argument for the transition to private funded schemes—that this results in higher national saving, which increases capital accumulation, which in turn increases output—is debatable. Several authors have pointed out that the chain of causality is uncertain (Barr 2000). Keynesian scholars adopt the opposite stance, arguing in favour of generous PAYG schemes, holding that these schemes have a positive impact on employment and growth (Baker and Weisbrot 1999). Different streams of economic thought do not share a unique view on issues such as private funded schemes’ supposed ability to improve labour market performance and their ability to ease pressure on public finances, among others (Barr 2000, Orzag and Stiglitz 2001). Although there are different perspectives on these matters, the mainstream stance which supports the downsizing of public systems prevails; and has been adopted and actively promoted by international organizations such as the World Bank (1994) and the OECD, and by political groups interested in privatization (Orenstein 2008). It is widely diffused by politicians and the media. Consecutive waves of pension reforms undertaken in many European Union countries over the last two decades have followed the strategies proposed by the World Bank (2001) for downsizing public provision: transition to private funded schemes, parametric reforms, and adoption of notional defined contribution schemes. As a result, the structure of PAYG schemes has changed considerably: their generosity was considerably reduced, state responsibility for pension provision decreased, and private provision increased or was promoted. In the 1990s, most Central and Eastern European countries, before joining the European Union, followed the World Bank’s three-pillar strategy and shifted some provision to private funded schemes. Western European countries, such as Germany, France and many others have enacted parametric reforms and changed eligibility conditions, the legal age of retirement, pension formulas or indexation methods. The generosity of pension systems has been reduced, in some cases severely, by phasing in pension cuts over time. Replacement rates for future generations of retirees are expected to decline, sometimes significantly, when the reforms are fully implemented (OECD 2009, Sherman 2012). Other countries, like Sweden and Italy, have enacted major reforms of PAYG schemes. In Sweden, the previous defined benefit plan was replaced with a notional defined contribution scheme that was combined with a private scheme of individual savings accounts. The new system also includes an automatic balancing mechanism that reduces pension rights and pensions in payment as much as is required to maintain the fiscal balance. Under this system, benefits become the dependent variable. After recognizing that recent reforms of public systems will result in lower replacement rates, the European Commission’s White Paper on Adequate, Safe and Sustainable Pensions (2012) recommends additional reforms (involving expenditure cuts) to maintain financial sustainability and proposes two strategies to ensure benefit adequacy: extend working lives, and increase the role of complementary private retirement savings. The idea is to further reduce the scope for public provision and to extend the market sphere. The overwhelming focus on fiscal sustainability has led to a biased approach that consists of defining pension policy according to criteria focused on the means, i.e. the budgetary constraints, while ignoring the primary purpose of pensions: to provide economic security in old age. By focusing on cost containment, the ends of policy become subordinated to the means. This framing has significant implications for the level of pension benefit provision which is converted into a policy instrument—the adjustment variable—rather than the objective. The focus is placed on the expenditure side of pension system budgets, thereby implicitly accepting the erosion of future pension benefits. This approach means a high risk of regression in realizing rights and a significant risk of reducing public provision to minimal standards. An approach directed at protecting and promoting rights requires a radical change of perspective. It requires shifting the focus from the means to the ends of public provision, making economic security the focus of analysis. Policy framing should start by specifying the objectives to achieve regarding economic security in old age. However, the financial capacity of the state is a necessary condition to allow the fulfilment of the economic security objective. Therefore, a rights-based approach should prioritize policies that reinforce the revenue side of pension systems budgets to enhance the ability of the state to protect, promote and fulfil rights. As Fukuda-Parr argues, “a [human rights-based approach] needs to focus more on expanding the capacity of the state to meet its obligations, and expanding the resource base of the state” (Fukuda-Parr 2009: 93). In ageing societies, a human-rights based approach cannot consider downsizing public provision to be an inevitable route. Instead, it should focus on reinforcing the revenue side of pension systems budgets. This requires appropriate macroeconomic policies which are those committed to full-employment and economic growth. These policies are critical for expanding the feasibility and full realization of rights, so that maximal standards in public pension provision can be achieved. This alternative approach would require a return to economic policies rooted in the Keynesian tradition. It is difficult to envisage the social and political conditions that would lead to such a paradigmatic change in Europe. However, if the human right to social security is conceived as an ethical claim then this perspective demands activism for social change. Effectively promoting economic and social rights requires working towards increasing their feasibility and full realization; as Sen puts it, “[working] towards changing the prevailing circumstances, to make the unrealized rights realizable, and ultimately, realized” (Sen 2006: 2924). Baker, Dean, and Mark Weisbrot. Social Security: The Phony Crisis. Chicago: University of Chicago Press, 1999. Barr, Nicholas. “Reforming Pensions: Myths, Truths, and Policy Choices.” IMF Working Paper 00/139 (2000). European Commission. “White Paper: An Agenda for Adequate, Safe and Sustainable Pensions”, COM (2012) 55 final. Brussels: European Commission, 2012. Fukuda-Parr, Sakiko. “Human Rights and Development.” In Arguments for a Better World: Essays in Honour of Amartya Sen Volume II: Societies, Institutions and Development, edited by Kaushik Basu and Ravi Kanbur, 76-99. Oxford: Oxford University Press, 2008. OECD. Pensions at a Glance 2009: Retirement-Income Systems in OECD Countries, Paris: OECD, 2009. Orenstein, Mitchell A. Privatizing Pensions: The Transnational Campaign for Social Security Reform. Princeton: Princeton University Press, 2008. Orzag, Peter R., and Joseph E. Stiglitz. “Rethinking Pension Reform: Ten Myths about Social Security Systems.” In New Ideas about Old Age Security, edited by Robert Holzmann and Joseph E. Stiglitz, 17-56. Washington DC: World Bank, 2001. Scherman, Karl-Gustav. “The Swedish public pension under financial stress.” Global Social Policy 12 (2012): 336-339. Sen, Amartya. “Human Rights and the Limits of the Law.” Cardozo Law Review 27 (2006): 2913-2927. Sen, Amartya. The Idea of Justice. London: Allen Lane, 2009. World Bank. Averting the Old Age Crisis: Policies to Protect the Old and Promote Growth. Oxford: Oxford University Press, 1994. World Bank. “Notional Accounts. Notional Defined Contribution Plans as a pension reform strategy.” World Bank Pension Reform Primer, 2001. 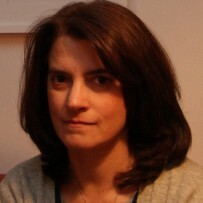 Maria Clara Murteira is professor of economics at the University of Coimbra, Portugal, where she teaches Public Economics, Growth and Development Economics, and Contemporary Economic Problems. She is a member of the Executive Committee of the European Network for Research on Supplementary Pensions. Her latest publications include the book A Economia das Pensões (2011), the book chapter The Reform of Social Security Pensions in Portugal. A Critical Assessment (2014) and the article La réforme des retraites adoptée par le Portugal en 2007: une réforme structurelle (2013).